Washington, D.C. – The system is clearly broken when a politician running for President of the United States makes more money in a dozen speeches to major Wall Street financial powerhouses than a college graduate is expected to make over the course of an entire lifetime. 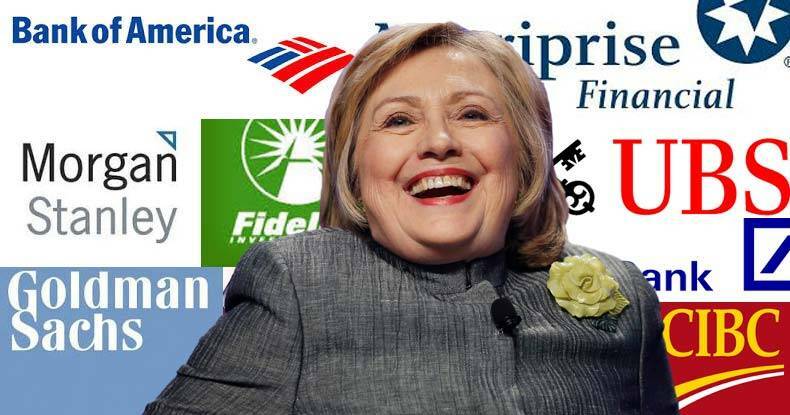 Public disclosure of financial documents indicate that in only 12 speeches given to private equity firms, Wall Street Banks, and other major global financial corporations- Hillary Clinton received $2,935,000 in payment from 2013 to 2015. To give these numbers some meaning, the U.S. Census Bureau in 2011 estimated that “bachelor’s degree holder can expect to earn about $2.4 million over his or her work life.” That same year the Pew Research organization estimated that a “high school graduate” would be expected to make roughly $770,000 over the course of their lifetime. This means that in one year — 2013 — Hillary Clinton earned almost as much from 10 lectures to financial firms as most bachelor’s degree-holding Americans earn in their lifetimes — and nearly four times what someone who holds only a high school diploma could expect to make. The absurdity of politicians cashing in for influence reeks of cronyism and corruption, and lends credibility to a 2014 study from Princeton University that revealed that the U.S. is not a democracy, but rather an oligarchy. An oligarchy is a form of government in which power resides in the hands of a small number of elites within a society. For the ruling class to act as if they are simply representatives of the people, when they know nothing about the struggles of the person on the street, reveals a political system that is clearly sold to the highest bidder.